Flip a coin. 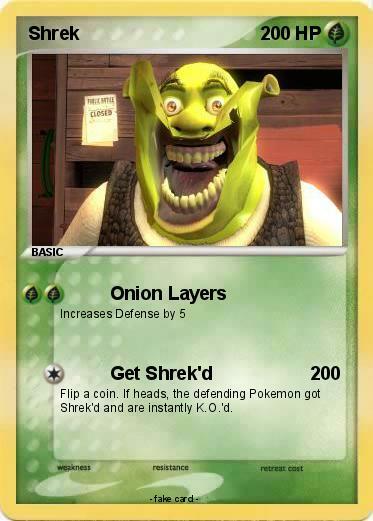 If heads, the defending Pokemon got Shrek'd and are instantly K.O. 'd.